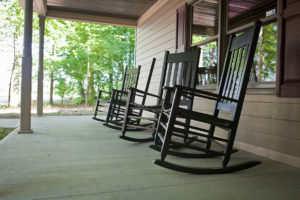 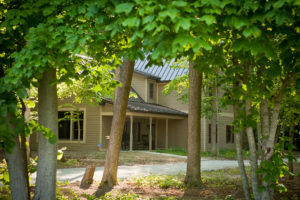 The Preserve Marriage Retreat Center is located on the South end of Kokomo, IN near several local attractions, restaurants, and catering services. 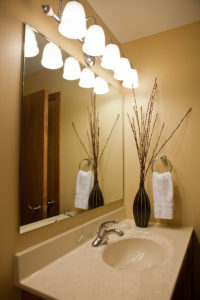 Leadership Teams, Business Groups, Universities, Churches, and Small Groups have benefitted from reserving our facilities. Entering the wooded preserve, you will find two beautiful four bedroom lodges which are available for your next retreat. 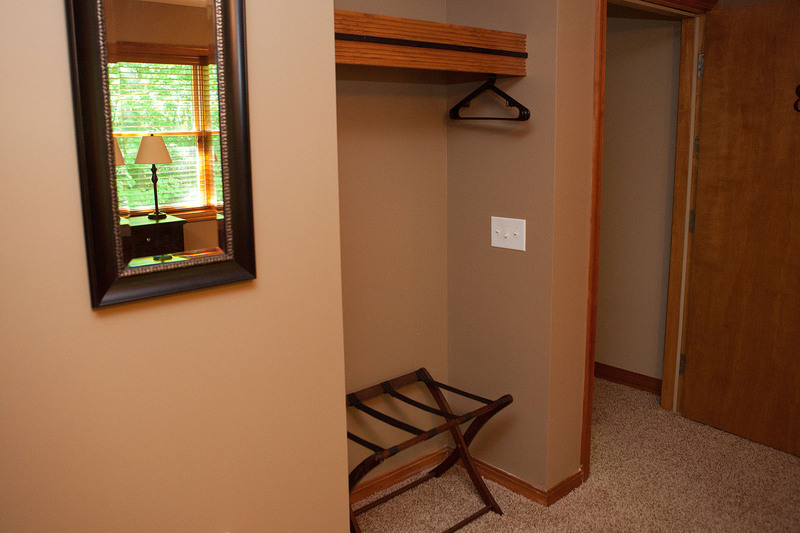 There are two bedrooms on the ground floor and two bedrooms on the upper level. 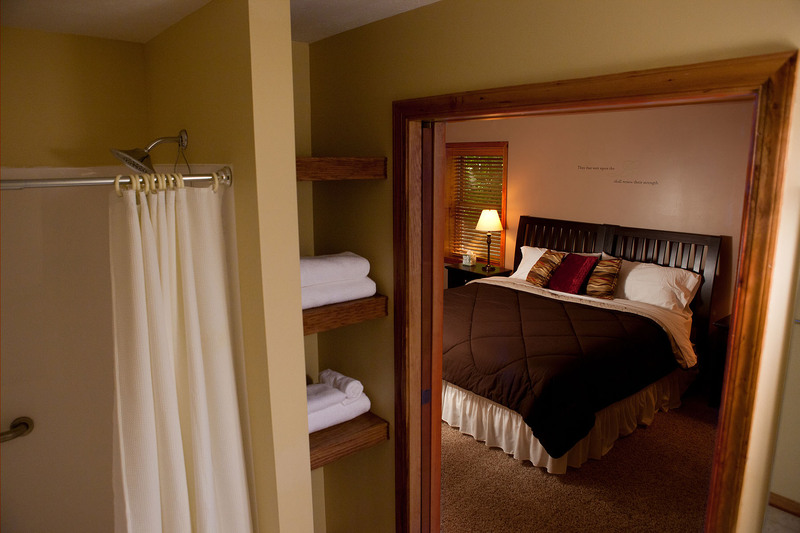 Also, all four bedrooms each have two Twin-XL beds which can be combined into a single King. 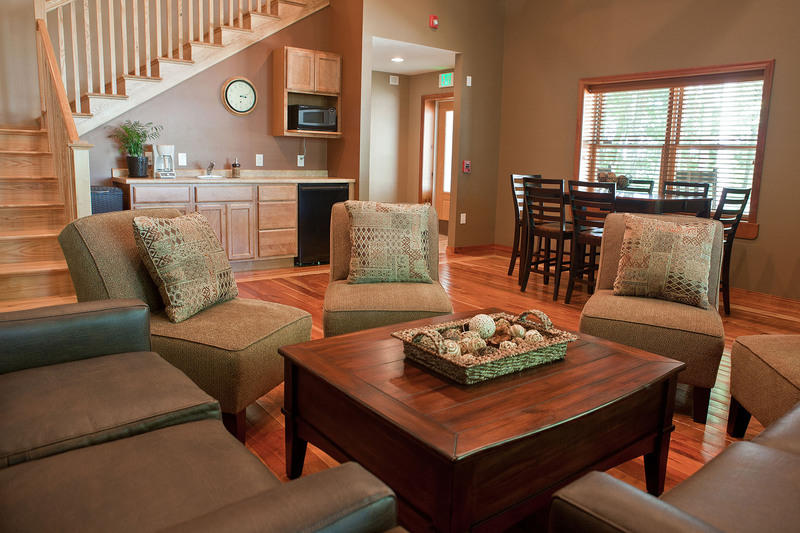 On the lower level you will find a kitchenette and a large common area that can seat up to 20 people. 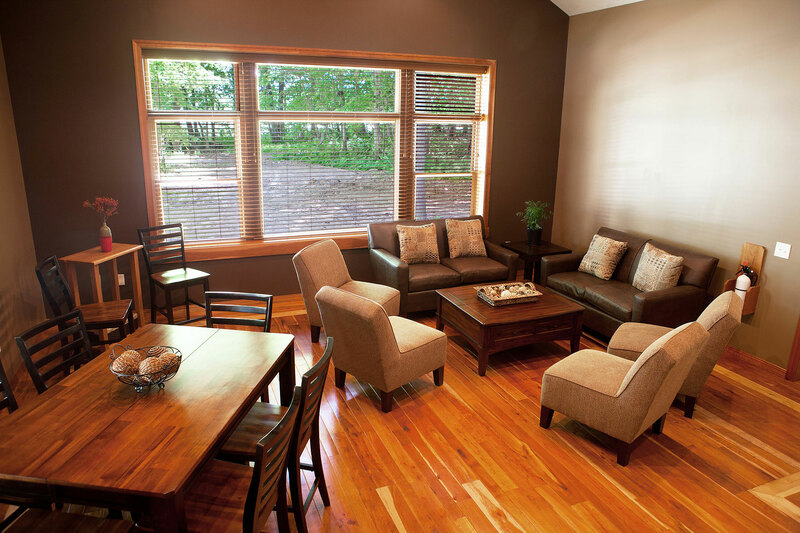 You will find the tranquil view to be perfect for meetings, team building, and counseling. 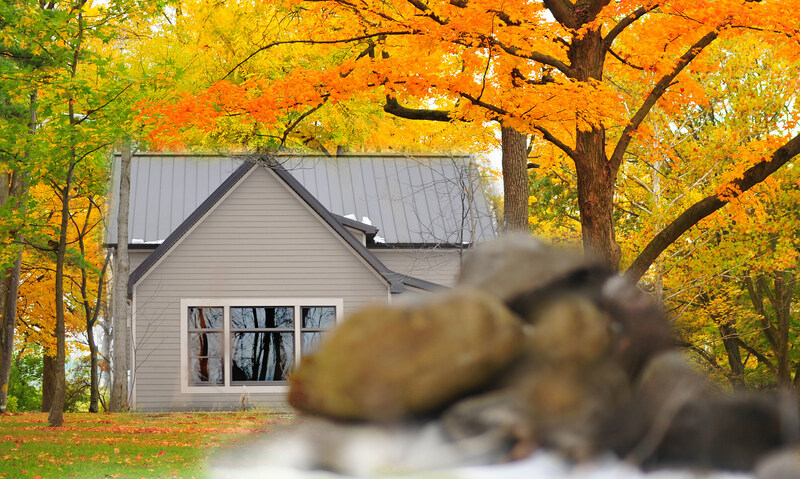 We are a 501(c)(3) non-profit organization dedicated to meet couples where they are, preserving one marriage at a time helping them take their next steps with each other and Christ. The common area of a lodge at the Preserve. 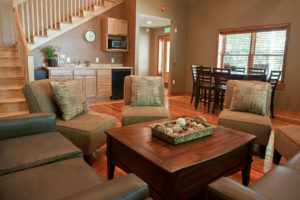 The common area at each of the lodges has space for meetings and a basic kitchenette. 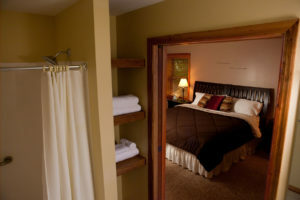 Each lodge has 4 bedrooms with a restroom and dual head shower. 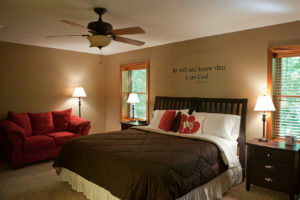 Each bedroom has a couch and table for working through material together.